This Sorry Day, Aboriginal Victorians have joined together for an historic two-day forum, to talk about how to progress self-determination and the possibility of a treaty in Victoria. The Self-Determination Forum follows a meeting of about 500 Aboriginal people held in February, which called on the Victorian Government to resource a so-called “treaty negotiation process”. This week’s forum is an important step towards a treaty in Victoria. VCOSS strongly supports Aboriginal self-determination and empowering Aboriginal communities to control their own future and decide how to make progress. We are closely following the community’s discussions including through the live stream of the forum. The day opened with a moving tribute by Aboriginal musician and inductee to the Victorian Aboriginal Honour Roll, Kutcha Edwards, to recognise Sorry Day and remember the painful history of the Stolen Generations. 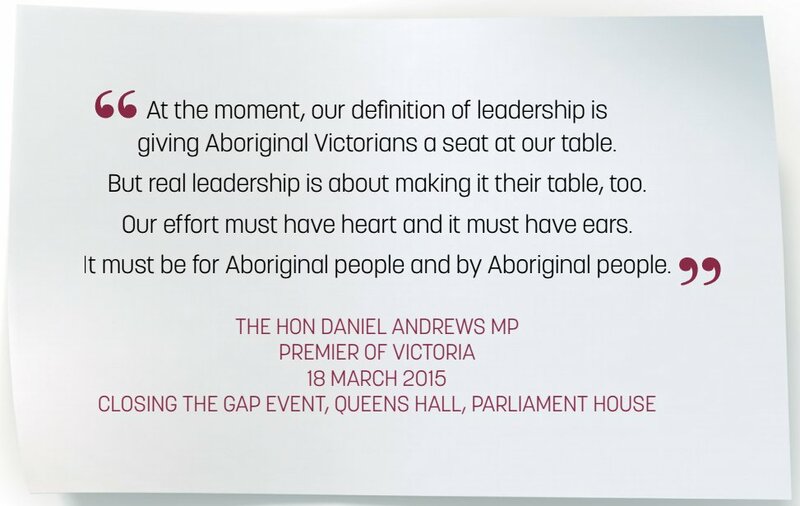 Premier Daniel Andrews appeared via video message, and spoke of his Government’s commitment to listening to Aboriginal people, because Aboriginal people must decide what their future looks like. He said he is committed to a “serious conversation about treaty”, the first of its kind in Australia. Recognise past wrongs and make apology for those wrongs. Recognise Indigenous land rights and sovereignty. Recognise Indigenous self-government within a state. Exchange land rights for financial and other benefits. Create a new relationship or partnership for an ongoing dialogue. Over the next two days, members of the Aboriginal community are set to keep discussing what self-determination means to them, what a treaty could and should look like, and what representative structures would need to be in place. People can also follow the Aboriginal Victoria Forum via live stream on the Aboriginal Victoria website. DID YOU KNOW? The first National Sorry Day was held on 26 May 1998 – one year after the tabling of the Bringing them Home report. The report was the result of an inquiry by the Human Rights and Equal.